Front-line representatives aren’t just the first contact point for members. They’re a key figure in the efficiency equation. How would you want your credit union employees to work: hard, fast, or smart? In a perfect world, you’d want all three. It takes a blend of all three to balance between an attractive member experience and the well oiled branch operations that preserve member value. It takes efficiency, and frontline employees can help or hinder that process in a number of ways. U.S. Credit Unions, $20M+ in Assets. 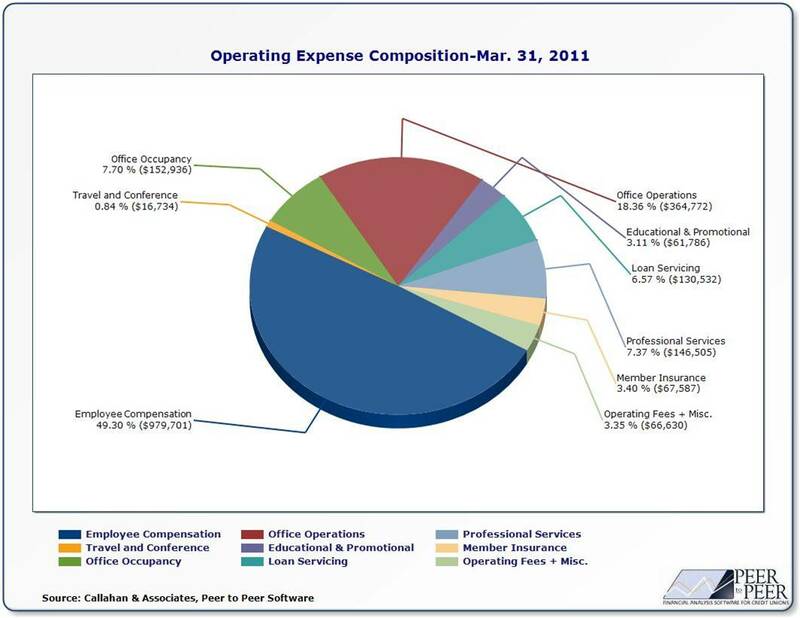 As of 1Q 2011, employee compensation and office operations represented 49.3% and 18.4% of total operating expenses for U.S. credit unions ($20 million plus in asset size) respectively. To ensure your branch employees buy into and support an efficiency culture, consider your proficiency in these five aspects of employee management and branch operations. Waiting too long for reports of traffic flow, or inefficiently benchmarking transaction per employee and other metrics means you’re likely staffing your branch for yesterday’s operations, not tomorrow’s. When it comes to fostering a sharp, responsive front-line, don’t rely on hindsight. A daily or weekly benchmarking, scheduling, and forecasting process will keep you aware of shifting branch trends and the proper amount of workforce required to match them. Increases in your employee-to-member ratio must be balanced by investments in technology or new delivery channels, structural efficiencies in the branch layout and core operating systems, or additional employee training. A teller who is also adapt as a member service representative (or vice versa) is twice as valuable as the average employee, and twice as efficient in filling operational gaps as they occur in a time sensitive manner. If you had to learn about boxing, would you rather take lessons from professional fighter Manny Pacquiao or cellist Yo-Yo Ma? Everyone has their own expertise to contribute, but no one knows an operation quite like those who live it every day. Many managers and leaders at a credit union have worked their way from the teller line to the corner office, but the branch is likely a far different environment today than they remember. That’s why suggestions from frontline staff should be a frequent stop on the roadmap to efficiency. The most common things are suggestions addressing aspects of the operating system, he says. Some features made sense during implementation, but as Fairwinds employees worked with the system all day every day, they revealed better ways of doing things, with less keystrokes or less screens to go through. “We get a lot of those things we can fix operationally to make their lives easier,” he says. The credit union even applies front-line employee feedback to the placement of ATMs or the organization of it website, based on member comments and reactions collected by staff. Don’t think you can afford a top tier online banking platform yet? Consider the alternatives. A recent FMSI study indicates teller labor costs have increased by 64% in the last ten years, while transaction volumes have decreased 31% in the same timeframe as customer preferences changed and new technology options became available. From online knowledge databases to online banking and remote tellers, technology takes some heat off front line staff, reduces staffing demands, and allows you to focus on a better member experience and streamlined performance with those you do have on the clock. Don’t just incentivize on the sales/production side, but consider employees with outstanding operational efficiency. Employee compensation and benefits can be a significant portion of a branch’s expense, but efficiencies yield less pressure from these costs. Consider circumventing some of those savings into additional rewards for efficient performance or additional tools and resources that make staff’s lives easier. These investments will also boost employee satisfaction and reduce impact from turnovers which can hinder cost efficient operations. I hope that all the top executives who read this article will do as Fairwinds C.U. and listen to what the front line staff has to suggest. Thank you Aaron for this fine article. I too hope that the suggestion to look to the staff that does the work to make suggestions on improving efficiency will strike a cord with CU executives. This is a key factor in empowering the staff and also makes them accountable because they are doing the things that they themselves said would make the job better! Thanks Aaron.